Nigeria's King of Soul; Timi Dakolo has released the fan video for 'Iyawo Mi' presenting other men with a chance to give a gift to their special women. Following the announcement in March 2014, fans of the artiste willing to be part of the love letter sent photos of their wives or fiancées to be included in the montage video using the lovers hit 'Iyawo MI'. The fan video serves as countdown to the release of the video for the song shot by ace producer and director; Clarence Peters. Timi Dakolo is an award winning R&B/Soul music artist born on January 20, 1981. He hails from Bayelsa State, Nigeria and grew up in the city of Port-Harcourt, where he started his singing career at age of 12, singing in his church choir. Following his win as West African Idol first and only winner; he released his debut album titled 'Beautiful Noise' in 2012, receiving great reviews for the work as well as chart successes. 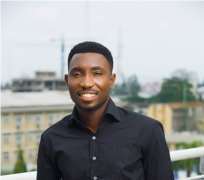 Timi Dakolo released another single after his debut album titled 'Great Nation' which many have described as the new National Anthem of Nigeria.